Liam Clarke was something of a Maths and Science whizz! He came to the College from Grace Academy and chose to study Mathematics, Further Maths, Chemistry and Physics at A level. He achieved all A and A* grades in these four subjects. 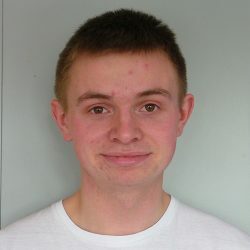 Liam represented the College in the Senior Team Mathematics Challenge, finishing a very creditable fourth out of 14 teams in the Solihull heats. It’s no surprise that he decided to continue with his Mathematics studies at university and progressed to the University of Bath.